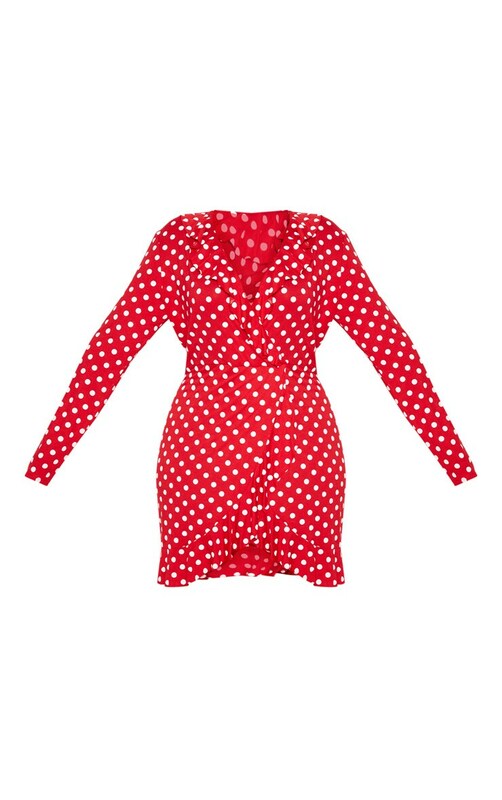 Girl we are obsessing over this cute polka dot dress for any occasion. Featuring a red jersey material with a contrasting white polka dot design, a frill detail and a wrap over design. Style this dress with ankle boots and hat to complete the look.